Journalist Alice Sparberg Alexiou, author of a book about the Flatiron Building, to which her family has a long connection, will talk about what this iconic structure means to the city, the world, and to her on Tuesday, February 12th at 8pm. 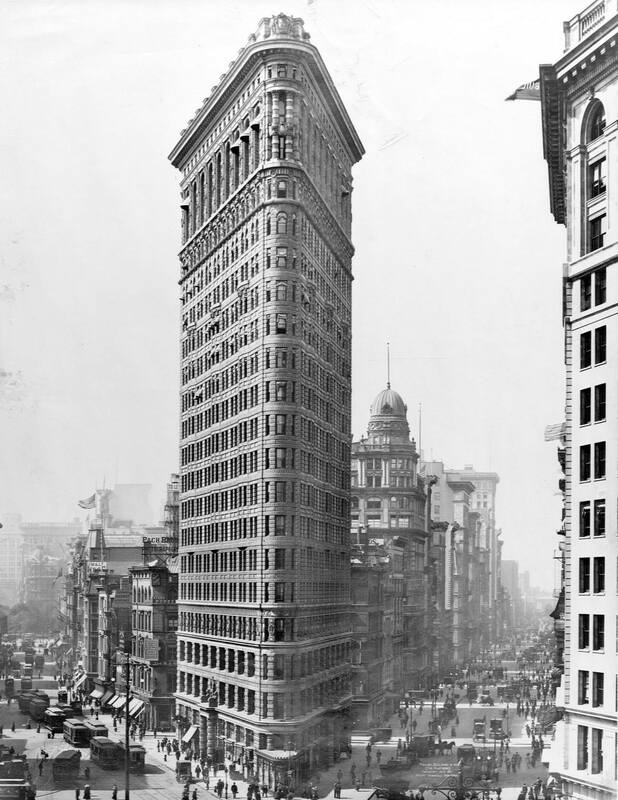 When the Flatiron Building was erected in 1902, critics savaged it. (A disgrace to our city, an outrage to our sense of the artistic, wrote one.) But this oddly-shaped building at the intersection of 23rd Street, Broadway and Fifth Avenue immediately won New Yorkers’ hearts. In later years, as the surrounding neighborhood turned shabby, the Flatiron remained a beloved symbol of New York, recognized all over the world. Today, the Flatiron District is one of New York’s most vibrant neighborhoods. Journalist Alice Sparberg Alexiou, author of a book about the Flatiron Building, to which her family has a long connection, will talk about what this iconic structure means to the city, the world, and to her. Alexiou is the author of three books. Jane Jacobs, Urban Visionary was the first biography of the great urban thinker. The Flatiron: The New York Landmark and the Extraordinary City That Arose With It, formed the basis for a documentary that was part of the ongoing WNET series Treasures of New York, and Devil’s Mile: The Rich, Gritty History of the Bowery. The National Arts Club is located at 15 Gramercy Park South, NYC.